Were Hedge Funds Right About Buying Petroleo Brasileiro S.A. – Petrobras (PBR)? During the fourth quarter the Russell 2000 ETF (IWM) lagged the larger S&P 500 ETF (SPY) by nearly 7 percentage points as investors worried over the possible ramifications of rising interest rates. The hedge funds and institutional investors we track typically invest more in smaller-cap stocks than an average investor (i.e. only 298 S&P 500 constituents were among the 500 most popular stocks among hedge funds), and we have seen data that shows those funds paring back their overall exposure. Those funds cutting positions in small-caps is one reason why volatility has increased. In the following paragraphs, we take a closer look at what hedge funds and prominent investors think of Petroleo Brasileiro S.A. – Petrobras (NYSE:PBR) and see how the stock is affected by the recent hedge fund activity. Is Petroleo Brasileiro S.A. – Petrobras (NYSE:PBR) ready to rally soon? Hedge funds are getting more bullish. The number of bullish hedge fund bets improved by 4 lately. 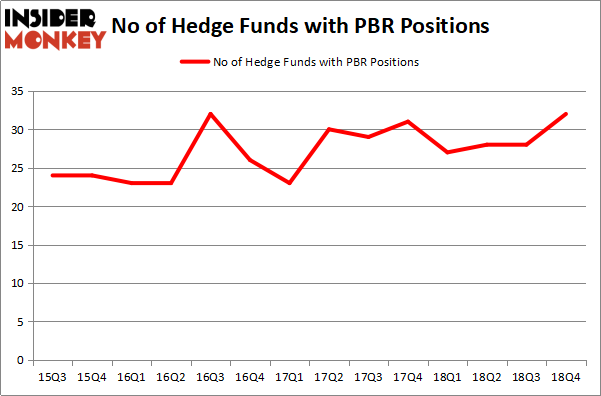 Our calculations also showed that PBR isn’t among the 30 most popular stocks among hedge funds. We’re going to take a glance at the key hedge fund action regarding Petroleo Brasileiro S.A. – Petrobras (NYSE:PBR). What does the smart money think about Petroleo Brasileiro S.A. – Petrobras (NYSE:PBR)? At Q4’s end, a total of 32 of the hedge funds tracked by Insider Monkey were bullish on this stock, a change of 14% from the second quarter of 2018. On the other hand, there were a total of 27 hedge funds with a bullish position in PBR a year ago. So, let’s examine which hedge funds were among the top holders of the stock and which hedge funds were making big moves. Among these funds, Fisher Asset Management held the most valuable stake in Petroleo Brasileiro S.A. – Petrobras (NYSE:PBR), which was worth $546.3 million at the end of the third quarter. On the second spot was Renaissance Technologies which amassed $342 million worth of shares. Moreover, Capital Growth Management, HBK Investments, and Millennium Management were also bullish on Petroleo Brasileiro S.A. – Petrobras (NYSE:PBR), allocating a large percentage of their portfolios to this stock. As one would reasonably expect, specific money managers have jumped into Petroleo Brasileiro S.A. – Petrobras (NYSE:PBR) headfirst. 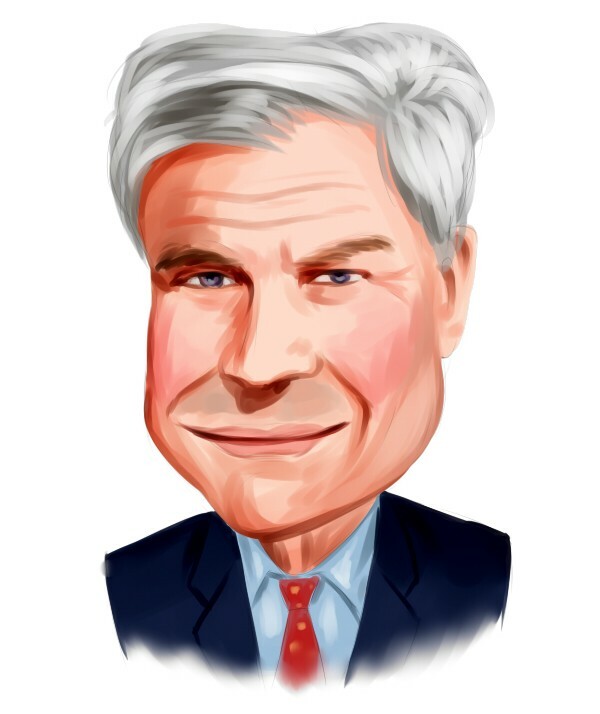 Contrarian Capital, managed by Jon Bauer, created the most valuable position in Petroleo Brasileiro S.A. – Petrobras (NYSE:PBR). Contrarian Capital had $71.3 million invested in the company at the end of the quarter. Rob Citrone’s Discovery Capital Management also initiated a $64.2 million position during the quarter. The other funds with new positions in the stock are David Halpert’s Prince Street Capital Management, and Hugh Sloane’s Sloane Robinson Investment Management. Let’s now take a look at hedge fund activity in other stocks – not necessarily in the same industry as Petroleo Brasileiro S.A. – Petrobras (NYSE:PBR) but similarly valued. We will take a look at Bristol Myers Squibb Company (NYSE:BMY), CVS Health Corporation (NYSE:CVS), United Parcel Service, Inc. (NYSE:UPS), and Banco Santander (Brasil) SA (NYSE:BSBR). This group of stocks’ market caps are similar to PBR’s market cap. As you can see these stocks had an average of 44.25 hedge funds with bullish positions and the average amount invested in these stocks was $2008 million. That figure was $1758 million in PBR’s case. CVS Health Corporation (NYSE:CVS) is the most popular stock in this table. On the other hand Banco Santander (Brasil) SA (NYSE:BSBR) is the least popular one with only 10 bullish hedge fund positions. Petroleo Brasileiro S.A. – Petrobras (NYSE:PBR) is not the least popular stock in this group but hedge fund interest is still below average. Our calculations showed that top 15 most popular stocks among hedge funds returned 19.7% through March 15th and outperformed the S&P 500 ETF (SPY) by 6.6 percentage points. Hedge funds were also right about betting on PBR as the stock returned 27.5% and outperformed the market as well. Were Hedge Funds Right About Merck & Co., Inc. (MRK)? Were Hedge Funds Right About The Coca-Cola Company (KO)? Do Hedge Funds Love Taiwan Semiconductor Mfg. Co. Ltd. (TSM)? Here is What Hedge Funds Think About Cisco Systems, Inc. (CSCO) Should You Buy The Boeing Company (BA)? Were Hedge Funds Right About Novartis AG (NVS)?